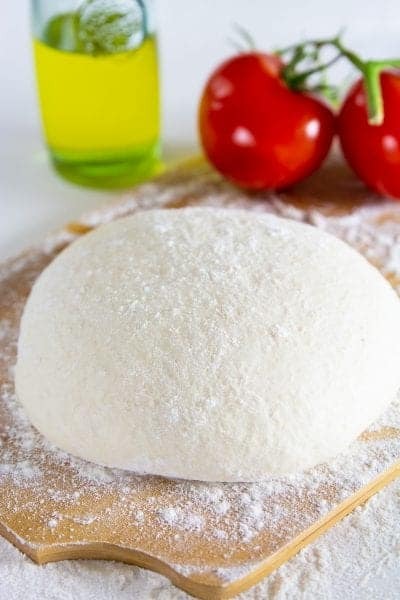 Making homemade pizza dough is simpler than most people think. Its as easy as tossing everything into the bowl of a stand mixer, combining all the ingredients, and letting the dough rise. That’s it! Homemade pizza dough also tastes way better than store bought dough. 1 . 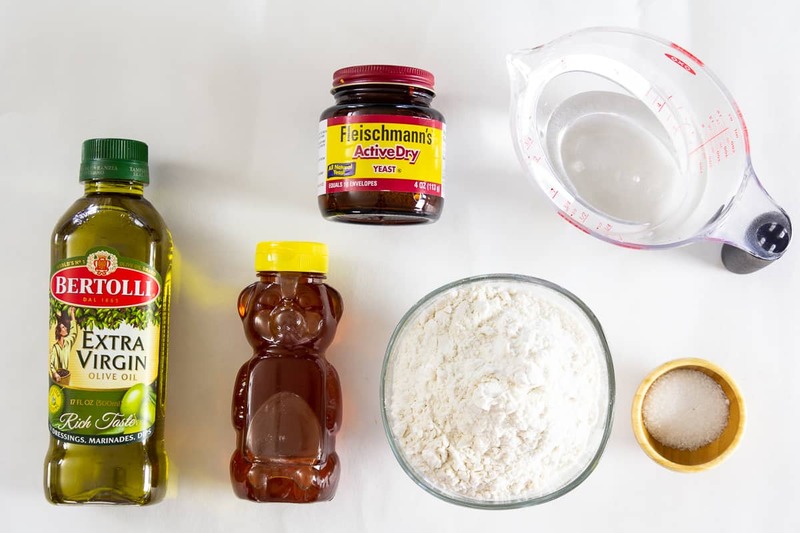 In the bowl of a stand mixer, combine flour, salt, honey, yeast, oil, and water. 2 . Using the hook attachment, mix until the dough no longer sticks to the sides of the mixer bowl. Depending on the flour you use, you may need to add more. 3 . Transfer the dough to a bowl greased with olive oil and cover it with plastic wrap. Let the dough rise for about 1 hour or until it doubles in size. Note: this recipe makes 2 pizzas. If you only need to make one, tightly wrap half the dough in plastic wrap right after its done mixing and place in the freezer. 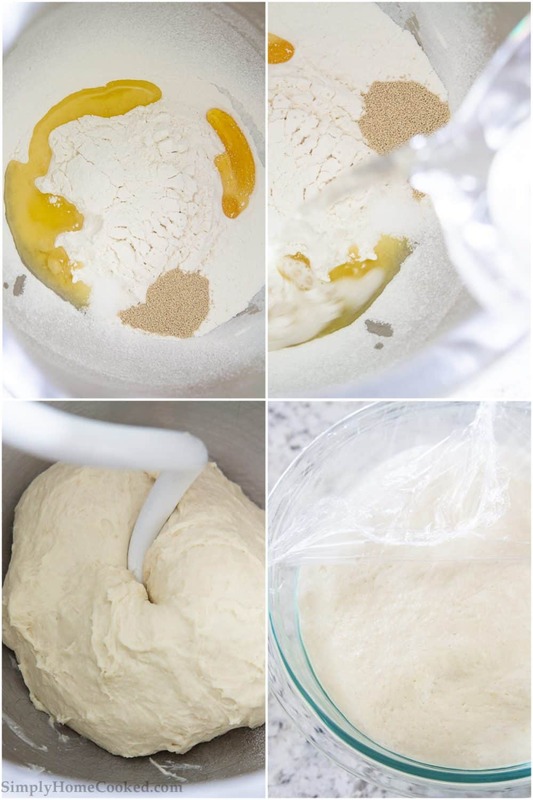 In the bowl of a stand mixer, combine flour, salt, honey, yeast, oil, and water. Using the hook attachment, mix until the dough no longer sticks to the sides of the mixer bowl. Depending on the flour you use, you may need to add more. Transfer the dough to a bowl greased with olive oil and cover it with plastic wrap. Let the dough rise for about 1 hour or until it doubles in size. This recipe makes 2 pizzas. If you only need to make one, tightly wrap half the dough in plastic wrap right after its done mixing and place in the freezer.